BroadData Conferencing services help you shorten sales cycles by providing you with audio and web conferencing solutions for sales professionals that put you in control and differentiate you from the competition. As a sales professional, you are relentlessly competing for the mindshare of your prospects and customers. You need to stay top-of-mind, but traveling to sales appointments makes it difficult to keep up with phone calls or e-mails that might delay closing a deal. Getting the response you want from prospects is frustrating if you’re just one of many undifferentiated sales people vying for attention. Stand out from the noise and take complete control of your sales environment with BroadData. Using only your phone, computer and an Internet connection, host interactive sales presentations from your desk to demonstrate your product or service, share a proposal and even gauge your prospect’s interest through desktop video. Don’t waste an opportunity when you have a decision-maker on the phone. One-click access to a BroadData meeting lets you give dynamic pitches at a moment’s notice—no reservations required. Qualify prospects without leaving the office. Using web conferencing, you can evaluate more opportunities to focus on the best prospects and eliminate those who are ‘not ready to buy’. Control your sales process from start to finish. Use speaker notes and a private “document previewing” area to keep important details close at hand. Avoid the pitfalls of e-mail and instant message correspondence. Instantly invite your company’s knowledge experts into your meeting to answer your prospect’s questions in real-time. Fully featured reservationless audio conferencing services support up to 125 participants on each call. Toll-free dial-in is included, while rates are guaranteed. Customers pay only for usage and can take advantage of web-based audio controls. For the best in conference call services provided by only the best in conference call companies, or to see the benefits of operator assisted calls, here’s an overview of our services you can evaluate. A reservationless conference call can be set up instantly. With permanent toll-free and 1+ dial-in numbers, conference calls can be hosted anytime, anywhere. All features are always on, so you have audio conference calling that keeps participants connected. Operator assisted and reservationless conferencing are available internationally, using International Toll-Free Dial-In, International Local Dial-In, or US Toll (1+) Dial-In. Dial out automatically or with the help of an operator. Connect with participants from around the world in any country. Complement any of our audio conferencing services with operator assistance with international participant dial-outs, participant cross checks, and operator-led Q&As. Capture reservation details, set up unique user IDs, and generate conference transcriptions and post-call participant lists. Operator help is available at the touch of a button. 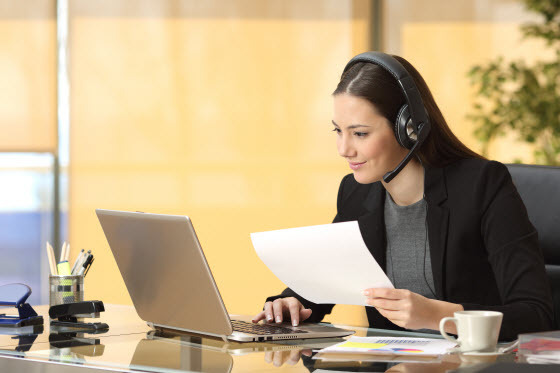 BroadData Conferencing offers the audio conferencing services you need to connect sales professionals and any participants, no matter where they are. You always want audio conferencing companies you can depend on for availability and assistance, and we’re here to provide just that. Contact us on our website to learn about our services and to discuss a custom rate solution, or call us at 877-321-2255. Or, feel free to sign up online today!